UNIVERSAL CITY, Calif., Sept. 14, 2018 /PRNewswire/ -- NBCUniversal LightBlade (lightbladeled.com) announced its latest innovation: the new Edge line of LED production lighting. The improved modular fixtures provide enhanced user functionality and easy rigging features. All NBCUniversal LightBlade fixtures – the new Edge, the LightBlade 1K, the Ladder Light, and the LB800 – use proprietary phosphor-converted white light LEDs, as well as phosphor-converted saturated color LEDs, to create a balanced, natural-looking spectrum. NBCUniversal is showcasing the entire line of LightBlade products at IBC in LCA Booth #12.D39 for demo, rental and sales. "Our goal is to constantly push the LightBlade technology to deliver the perfect blend of art and science for content creators," said Jamie Crosbie, Vice President of Studio Services at NBCUniversal. Individual Blades are the key component to the modular Edge fixtures. At 24" (610mm) or 48" (1.2m) wide by 2 1/2" (64mm) deep, the individual LightBlade bring you both versatility and a low profile footprint that can efficiently and discreetly light even the darkest and tightest corners of your set. Each individual Lightblade can operate as a stand-alone fixture, with internal AC power supply, control electronics with DMX and Local control. Combining superior white light with innovative full-gamut saturated color technology, a single LightBlade delivers up to 5,000 lumens at an 80-watt power draw. 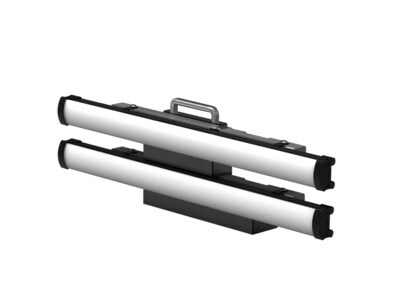 Both 24" and 48" LightBlades are among the most powerful linear lighting engines on the market. 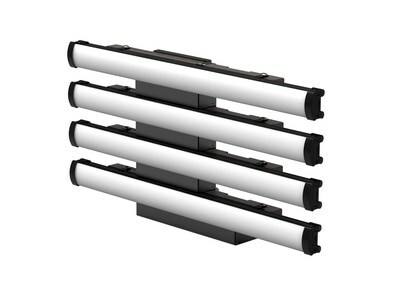 The Edge fixtures offer a unique modular design. LightBlades are integrated into the mounting system to create the Edge 160 (2-Blade) and Edge 320 (4-Blade) fixtures, delivering 10,000 or 20,000 lumens. The LightBlades in the Edge fixture can be set to operate as an integrated light source, or they can operate independently for dynamic lighting effects. The Edge modular fixtures offer the simplicity of a complete lighting fixture with the flexibility of individual LightBlade control. Developed in partnership with Cineo Lighting, NBCUniversal LightBlade products are versatile, lightweight, silent and flicker-free, and built to endure the wear and tear of staging and production. NBCUniversal LightBlade is a unit of NBCUniversal, one of the world's leading media and entertainment companies in the development, production, and marketing of entertainment, news, and information to a global audience. NBCUniversal owns and operates a valuable portfolio of news and entertainment television networks, a premier motion picture company, significant television production operations, a leading television stations group, world-renowned theme parks, and a suite of leading Internet-based businesses. NBCUniversal is a subsidiary of Comcast Corporation.